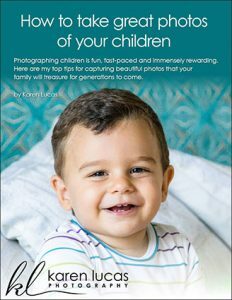 Welcome to the Karen Lucas Photography Blog in Singapore. Enjoy catching up on our latest photography news, photo galleries, student showcases, photography tips, and more. I've been deeply touched by the plight of Cambodia's children during my many visits there. There are several ways we can help lift them out of poverty. Just back from an incredible photography tour with 10 awesome photography-lovers in Bhutan. Here are my top 25 photos. Follow Sue's photographic journey & learn about her award-winning charity work. Thaipusam is a highlight of the photographer's calendar. Here's some tips to help you capture amazing photos this year. Looking for the perfect gift for the photography-lover in your life? Here are 10 great gift ideas. An example of stitching several vertically-framed photos to make a striking panorama. Just back from another fantastic photography tour with 10 amazing ladies in Myanmar. Here are my top 25 photos. Last week we were in Little India enjoying another brilliant night of photography on a Deepavali Sunset Photo Walk. LEARN how the Wide Angle vs Telephoto Lens impacts the aesthetic of an architectural scene. EXPLORE Sungei Buloh Wetland Reserve – a great place to photograph and enjoy with the whole family. LEARN how to improve your photos of city scenes taken at night using some simple Adobe Lightroom techniques.